The tickets included in this giveaway were provided complimentary via the World of Coca-Cola. All opinions expressed are my own. Santa’s Secrets Revealed: Learn about the evolution of Santa Clause. He wasn’t always a jolly red guy in a suit. Bet you didn’t know that? 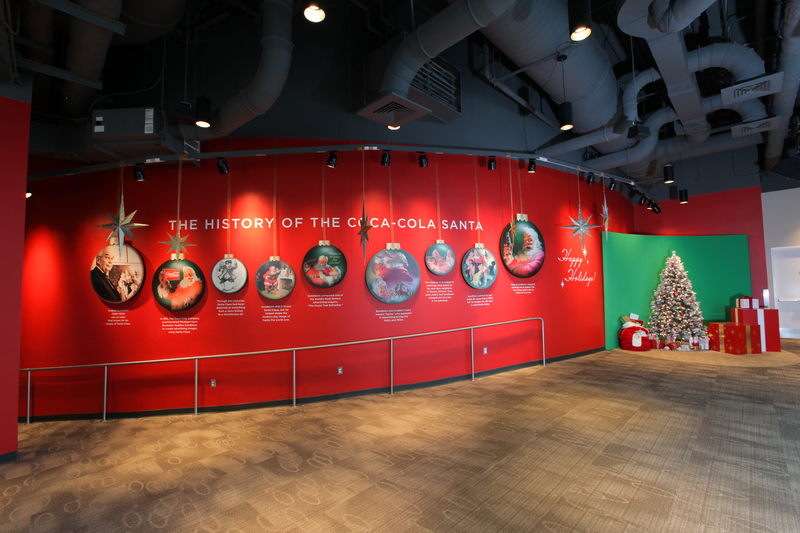 Visit World of Coca-Cola’s 4-D theater to learn even more fun facts about Santa. 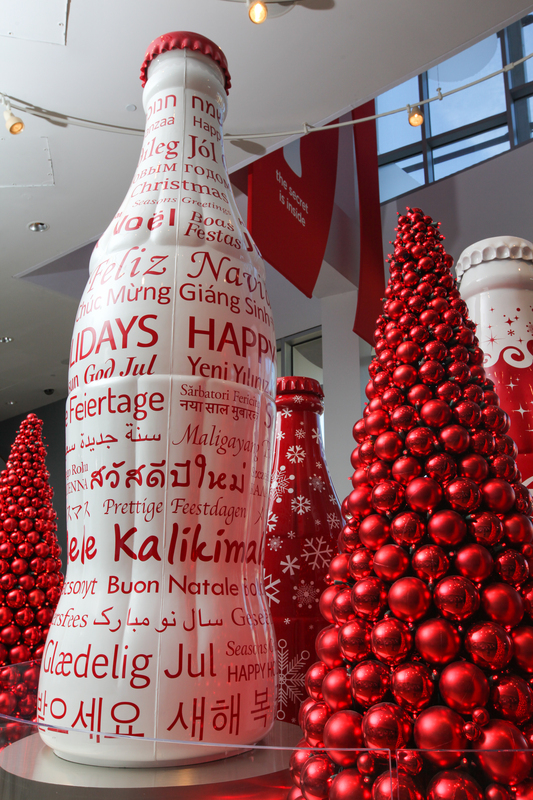 Taste The Season: The World of Coca-Cola has three special flavors of Coca-Cola that you can taste on your visit. They are Coca-Cola North Pole Magic, Zero Sugar Artic Chill, and Chocolate Covered Cherry Coke. 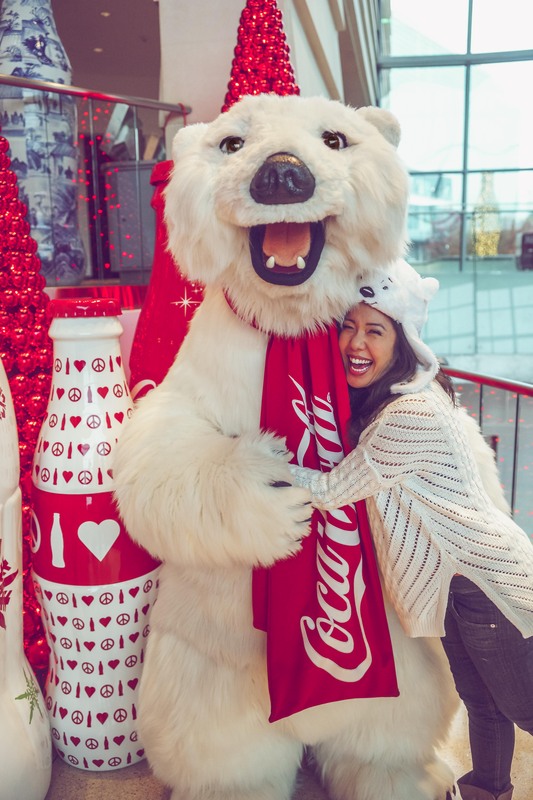 Seasonal Snaps: A holiday visit to World of Coca-Cola isn’t complete without taking a picture with the Coca-Cola Polar Bear. You can also get great shots in Santa’s Sleigh or in front of the giant Christmas ornaments. You can also let the world know about your visit by using the hashtag #WorldofCocaCola and you could possibly see your pics on the World of Coca-Cola social media channels. Cheer Throughout The Year: Your World of Coca-Cola visit doesn’t have to end with just one visit. 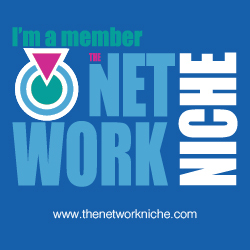 Pick up an annual pass for you and your family or gift it to your love ones and friends. You can also get $4 off general admission for the friends you bring with you. Also stop by the gift shop and pick up some great memorabilia and gifts. Guess what. If you don’t have an annual pass yet or you just want to go visit you can enter my giveaway below. I was provided a family four pack of tickets to the World of Coca-Cola to giveaway. You can be the lucky winner. I love just plain ole coca cola! My daughters love vanilla coke. I like both. They are so good. I love their Fanta division, pineapple and mango are my favorites. I haven't been to the Fanta Division. I am definitely due for a visit. I've lived here for two years and still have not made it to the World of Coke. Looks like Christmas could be a good time to go. I want to go back. It has been years since my family and I have gone to visit. World of Coke is such a fun place to visit. We love to go to World of Coke as a family! My kids look forward to the unlimited soda at the end. I love the soda samples too. It is so much fun to try them. I love Coke Zero Cherry! I like Coke zero cherry as well. It really doesn't taste like a diet drink. I love world of coke, would love to try it during the holidays! I would love to experience it during the holidays as well. I've been wanting to make it out there for awhile.